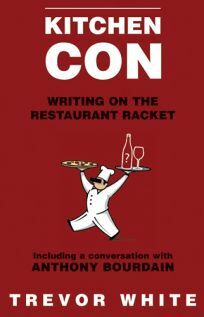 Lauded in the U.K. as the next Kitchen Confidential (if the punny title isn't enough, ""Including a conversation with Anthony Bourdain"" is printed helpfully on the cover), White's occasionally thrilling and frequently rambling take on restaurant criticism-and the state of food in general-is sure to raise hackles, much as his inspiration did when it was first published in 2000. White persuasively argues that restaurant criticism has no discernable purpose other than to sell the newspapers and magazines in which they appear, that wait staff should be paid a fair wage in lieu of tips and that a steady decline in true service is hobbling an industry allegedly devoted to it. His oft-repeated remark that most European critics (and patrons) ""know the taste of everything, and how to cook nothing"" supports his thesis that the West has bred a world of consumers constantly hunting down the Next Big Thing, rather than appreciating (or even understanding) what's in front of them. White thoughtfully includes original drafts of his reviews alongside their heavily revised published versions, lending credence to his entertaining take-down of sacred cows like the Michelin and Zagat guides. Though incendiary passages abound-White isn't one to mince words-this volume lacks focus, making it more like a loosely-assembled essay collection than a provocative assault on the status quo.